Georgi Nellis defended PhD on March 06, 2017. The dissertation “The use of excipients in medicines administered to neonates in Europe” was performed in the frame of ESNEE project. 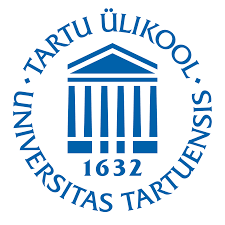 We all congratulate George and thank dr. Catherine Tuleu for leading stimulating discussion as the opponent. 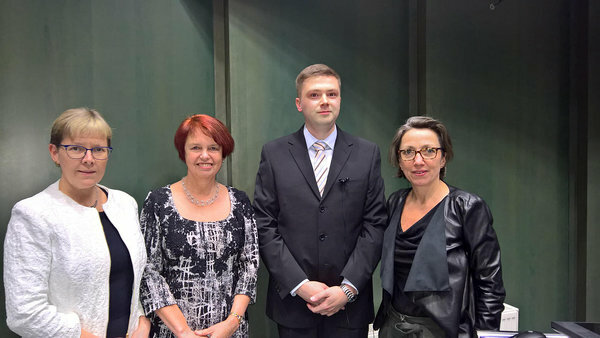 Georg Nellis together with Supervisors prof. Irja Lutsar, and dr. Tuuli Metsvaht and the opponent dr. Catherine Tuleu after the defence. dr Catherine Tuleu (PhD), Reader in Pharmaceutics, Director, Centre for Paediatric Pharmacy Research, UCL School of Pharmacy, London - UK. Pharmaceutical excipients are essential components of medicines necessary to maintain quality and patient acceptability. Due to organ immaturity there is a higher risk of adverse effects associated with the administration of excipients in neonates compared to adults. While thousands of excipients are in use, only some have been associated with the toxicity in neonates – excipients of interest (EOI). In this work EOI included parabens, polysorbate 80, propylene glycol, ethanol, benzoic acid, sodium benzoate, benzyl alcohol, sorbitol, saccharin sodium and benzalkonium chloride. We aimed to describe the scale of neonatal exposure to EOI in Europe, to identify factors related to EOI administration and explore the opportunity of product substitution to reduce exposure to EOI. We conducted a 3-day questionnaire (service evaluation survey, SES) and a 1-day point prevalence study (PPS). We showed a high correlation in the frequency of medicine use between the two methods. The choice of method in future studies depends on the research question, whether priority is given to a more comprehensive list of products (SES) or individual exposure data (PPS). Altogether 20 and 21 countries with 115 and 89 units participated in the SES and PPS, respectively. In the SES 313 active pharmaceutical ingredients (APIs) representing 1065 products were registered. In the PPS 726 neonates received 2199 prescriptions. One third of products contained EOI and two thirds of the neonates were administered at least one of them. We found regional variations in the administration of some EOI. This indicates possibilities to use EOI-free products available in one but not another country. Substitution of only the most frequently used products would reduce the overall number of exposed neonates almost by a half. In conclusion, EOI are not rare in medicines used in European neonatal intensive care units, whereas EOI-free products available on the European market allow to reduce neonatal exposure to EOI substantially.